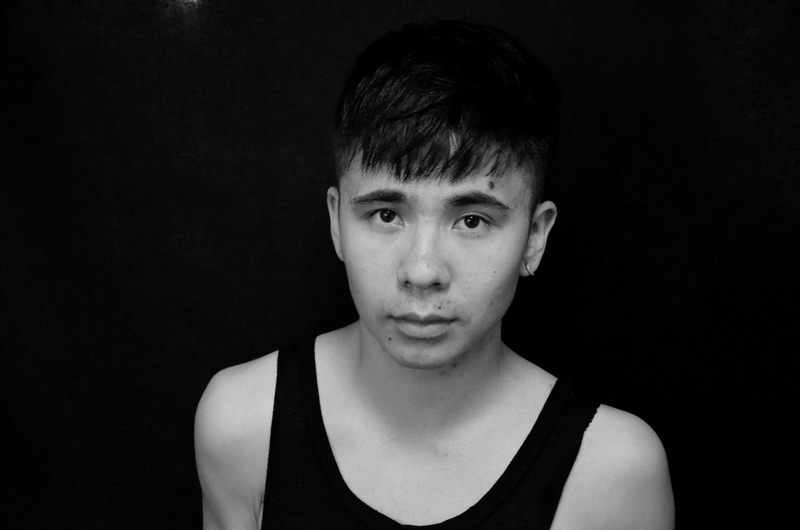 diaCRITIC Eric Nguyen reviews Ocean Vuong’s debut poetry collection, Night Sky with Exit Wounds. Night Sky With Exit Wounds, Ocean Vuong’s much anticipated and already lauded debut collection, starts quietly. In the opening poem (“Threshold”), the speaker watches “through the keyhole/not the man showering, but the rain/falling through him[. ]” It’s a secret moment, a taboo one perhaps, as he holds his “clutched breath” behind the door, watching and waiting. Yet in this clandestine act, the speaker still coaxes his readers in with him to watch water like “guitar strings snapping/over his globed shoulder.” It’s not until we turn the page that we learn the cost of looking “was to lose/your way back” with “eyes/wide open.” The poems ends almost abruptly, the couplets giving way to a single-lined stanza. It’s a fitting introduction to a book that at its core is about losing oneself in the process of observing human catastrophes. Calm and measured, the poem is a short intake of air before the dive into deeper waters, the beginning of a longer journey. For Vuong, it’s a world uncomfortably punctuated by violence, book-ended on one side by colonialism in Vietnam and on the other by what we see today. In “Aubade with Burning City,” the Fall of Saigon is juxtaposed to the warm voice of Irving Berlin’s “White Christmas.” The result is already intense images transformed into something sinister. A dog’s “hind legs/crushed into the shine/of a white Christmas” (emphasis in original). “The treetops glisten and children listen” and “the chief of police” is “facedown in a pool of Coca-Cola./A palm sized photo of his father soaking/beside his left ear.” We know the classic holiday song and the speaker’s interruption makes for an unmelodic reading, punctuating the grim scene and the chaos already marked on the page in lines that scatter. Though a speaker of Vuong’s generation would have never stepped foot on the active battlefields of the Vietnam War, it is still there. In this way, Vuong speaks for a generation of Vietnamese Americans who were born after the War but whose collective memories still haunt them. It’s a question that comes up regularly in any discussion of the present and future states of Vietnamese American literature: how do we address memories that are not ours? And what do these memories mean to our persons, our sense of self, and our identities as both Vietnamese and American? I’ll tell you how we’re wrong enough to be forgiven. How one night, after backhanding mother, then taking a chain saw to the kitchen table, my father went to kneel in the bathroom until we heard his muffled cries through the walls. & so I learned—that a man in climax was the closest thing to surrender. 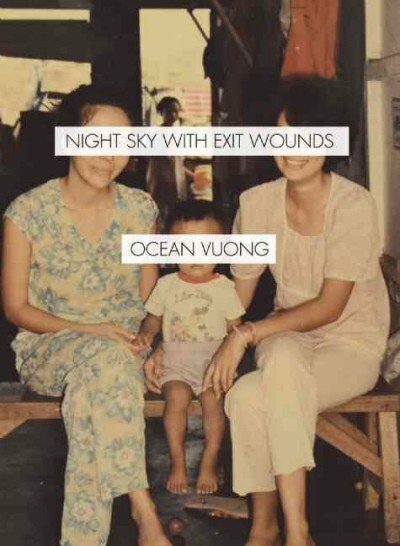 Reading Night Sky with Exit Wounds it becomes obvious that Vuong has a love-hate relationship with humanity: he loves it for its tenderness, he hates it for its violence. It’s a point of tension throughout these poems as Vuong explores his familial history, his countries’ histories, and his own life. The poems in the collection, however, do coalesce into a type of balance by its end, if not finding a balm for hurt, then at least remaining optimistic. “The most beautiful part of your body,” he writes, “is where it’s headed.” For all we have ruined—with wars, domestic abuse, homophobia, racism, etc—Vuong is still hopeful; this is precisely why he’s the poet we need now more than ever. He lays bare our brutal histories and tells us, yes, we can do better.